In this modern world people experience all kinds of modernity and values. So, most of them are tired of unsatisfactory materialistic things. These people search for a different way to enjoy their holidays. Therefore, we The Mindruk trek and Meditation thought of providing a unique experience for our clients by introducing a new meditation tour which is very pleasant and another way to spend your Holidays meaningfully. 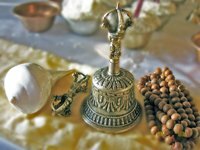 Through this Meditation tour you will experience the monastery way of life by doing ritual Puja ceremonies, Dharma Practice and mantra chanting. Spending your time in the monastery and doing meditation is a very pleasant feeling. Through this kind of tour you can gain mental happiness. 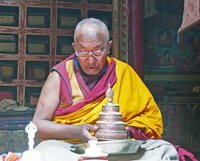 As mentioned above during your tour you can see the live ritual ceremonies of Lamas in Gonpas (monastery) and you will get a chance to stay over night at the monastery with the monks and share their life. We also organize a meditation Trek. For the meditation trek, we have chosen some beautiful and calm routes where you could do the meditation without any disturbance. This trek will begin with a daily half an hour meditation before your breakfast and in the evening an hour before dinner. The level of mediation and tour/trek duration is up to you. For more information you can contact us on our E-mail. We are available all the time for any kind of inquiries from you.